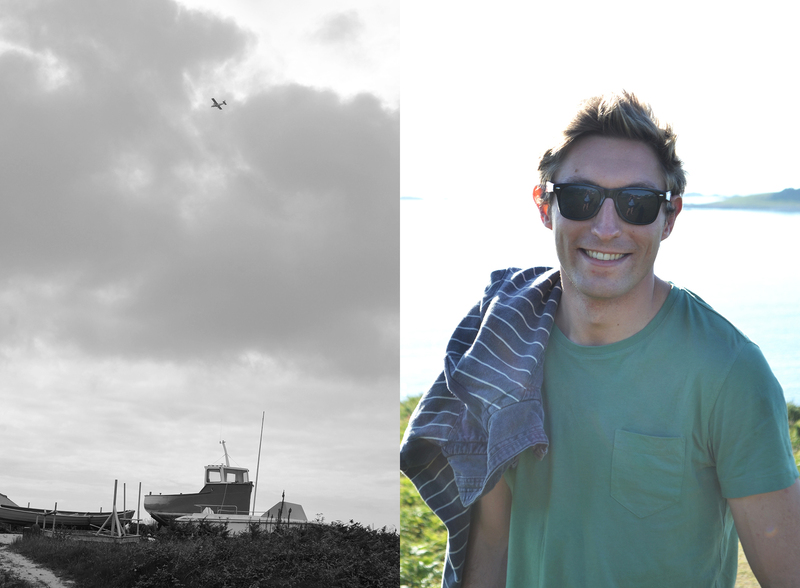 Travel snaps and special spots from one of my favourite ever places – the Isles of Scilly, which Jake Little and I explored in proper Famous Five style. 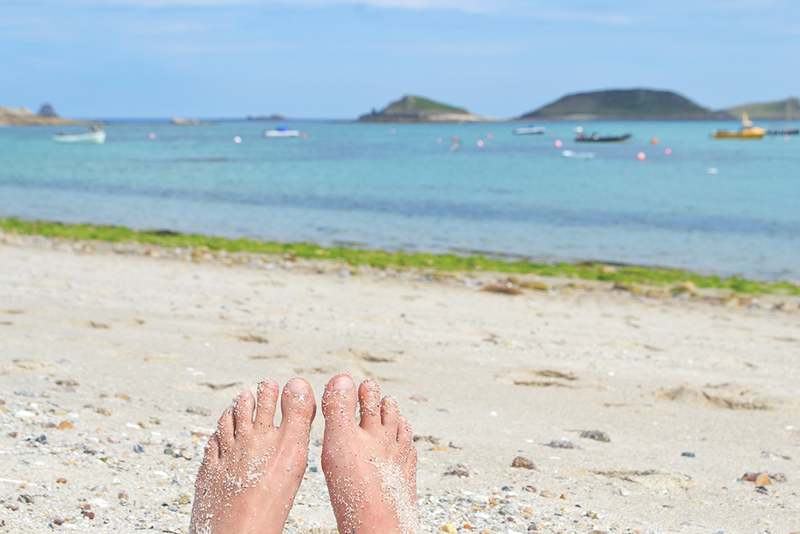 Just don’t call them the Scilly Isles, or the locals will know you’re a newbie. 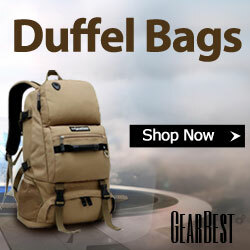 If you’ve ever dreamed of running away to a simpler world, then I’m going to show you how, Peter Pan style. 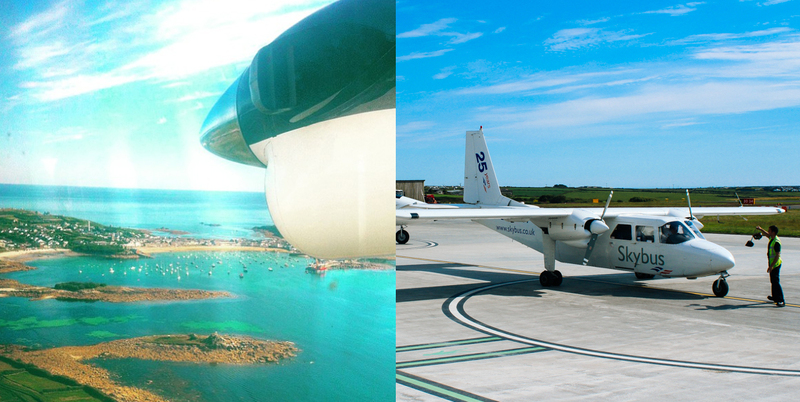 The easiest way to get to the Isles of Scilly is to catch a tiny, putt-putting plane from the equally tiny airport nestled at at Land’s End, where England runs out of solid ground. 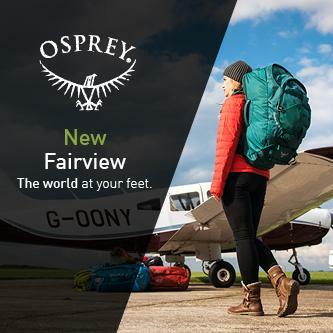 Once up in the air you can peer down at a tiny archipelago set in turquoise water which looks like nothing more than Neverland. 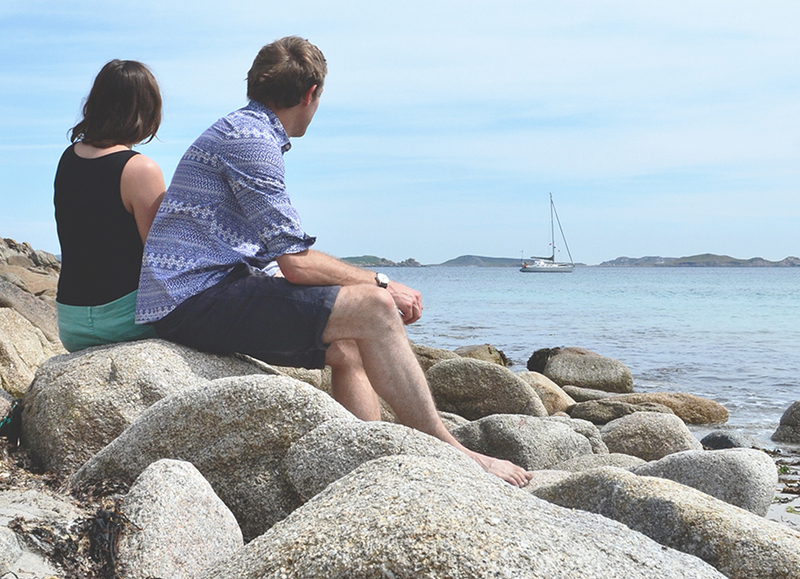 The Scillies might be a short hop from Cornwall, but the way of life here makes a visit feel like stepping into another world. Locals talk about the biggest of the Scillies, St Mary’s, like it’s a metropolis, but it feels more like Toy Town – there’s one little airport, one red fire engine, one doctor (on a boat), one cash point and one pretty town, St Mary’s, full of little shops and cosy pubs (make sure you while away an evening on the terrace of the Atlantic Hotel and pick up an ubiquitous I Love Scilly jumper from 49 Degrees). 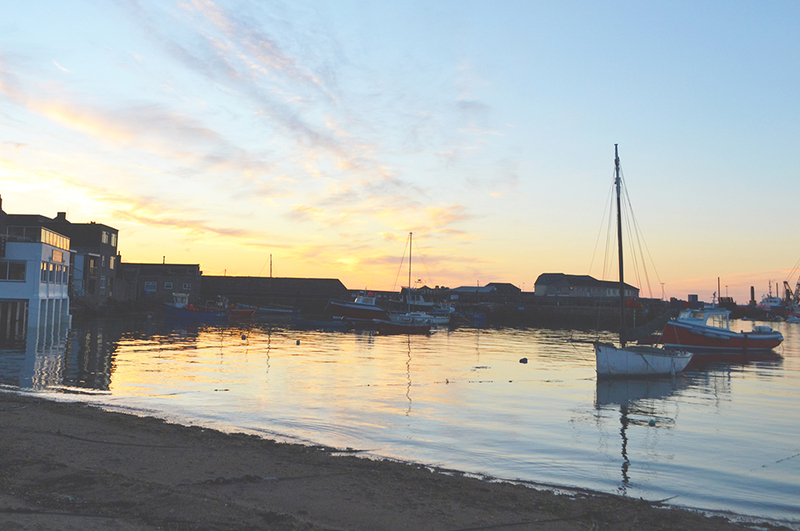 Towering above the cottages and the brightly-coloured boats in the harbour are the lofty stone walls of an old garrison, looking out to sea. You might see a car or two on St Mary’s, unlike on the other islands, but bustling it definitely is not. 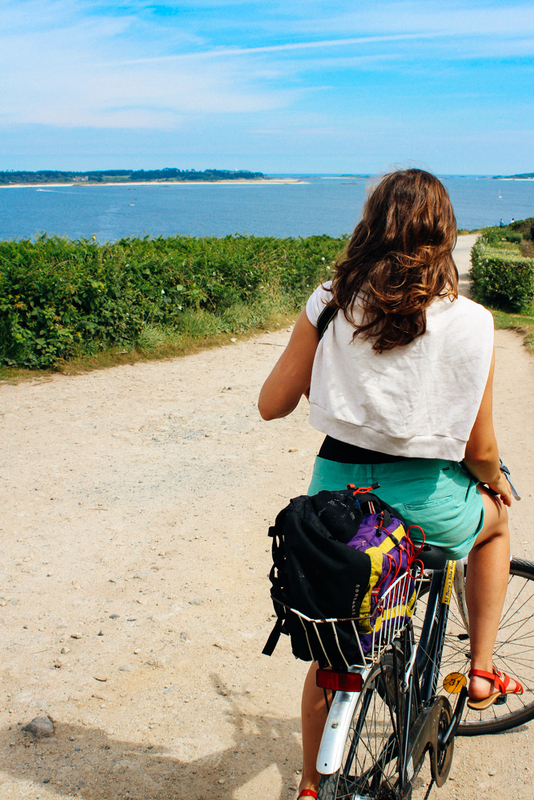 It’s pleasingly easy to explore – rent a rusty bicycle and you can zip about the little roads, occasionally stopping to let ducks waddle past. 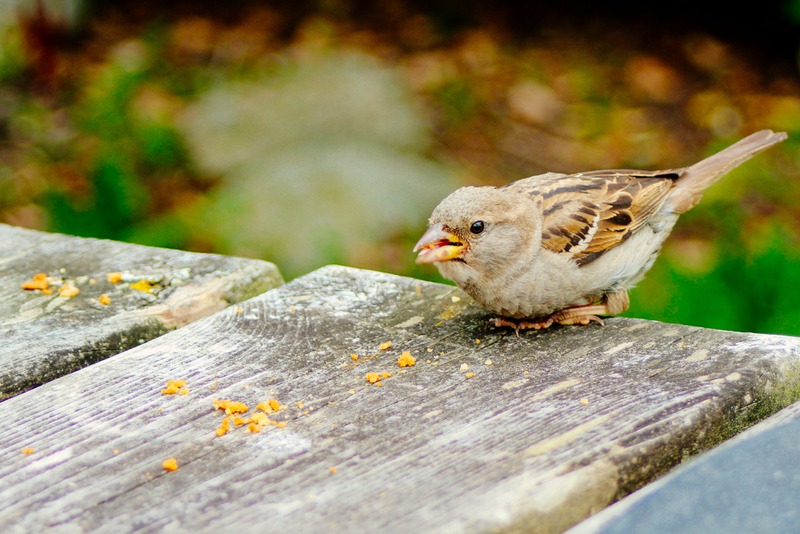 Have lunch at gorgeous Juliet’s Garden, a beautiful terrace restaurant with views out over the harbour – the wild birds here are so friendly that they’ll perch on your hand and eat cake crumbs from your fingers, Snow White Style. St Mary’s is also the main location for renting sail boats – an even more chilled-out way to explore these crystalline waters. 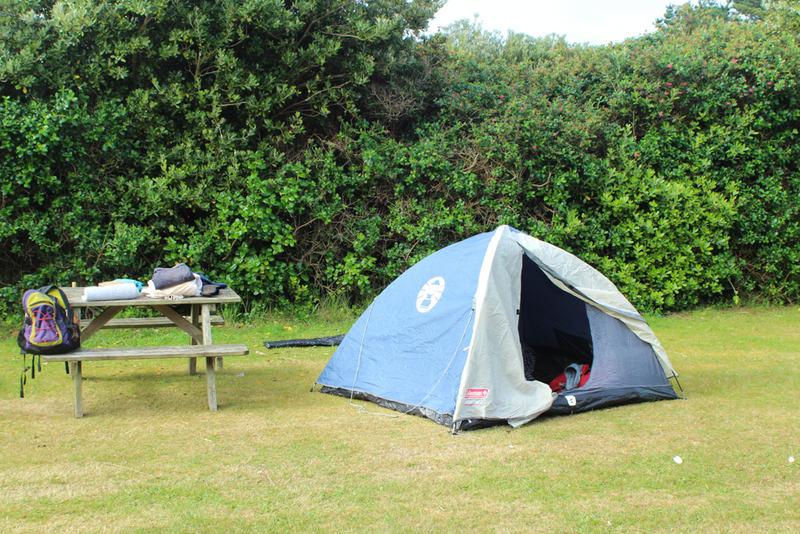 We camped up in the safety of the Garrison, where you can pitch your tent anywhere you like in a grove of little gardens dotted with palm trees. The wild rabbits on the Scillies are so tame that if you sit still in the door of your tent they’ll come and nibble the grass around your camp as you spend a sunny afternoon doing nothing much. 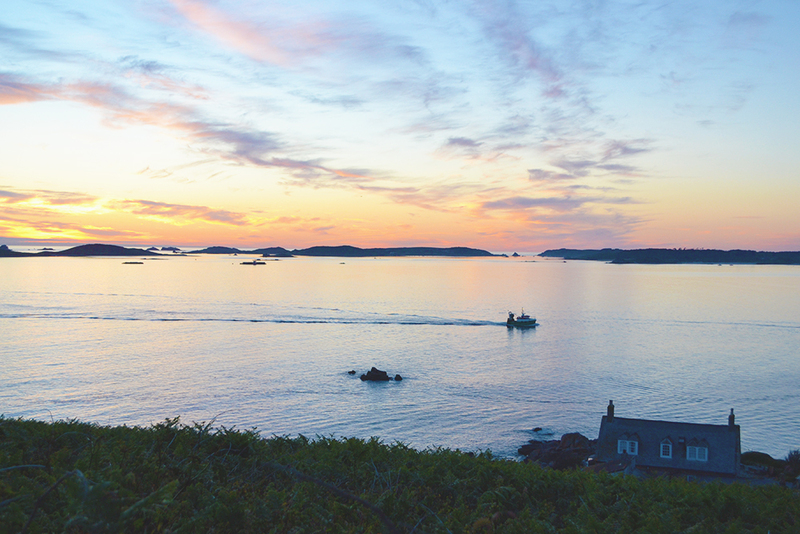 In the evenings we lay on the cliffs and watched the sun go down over the sea – I’ve never seen a more perfect sunset than on Scilly, where the sky looks like someone splashed a box of watercolours over it. When night falls fully, lie on the heather and see how many stars you can spot in the unpolluted sky. 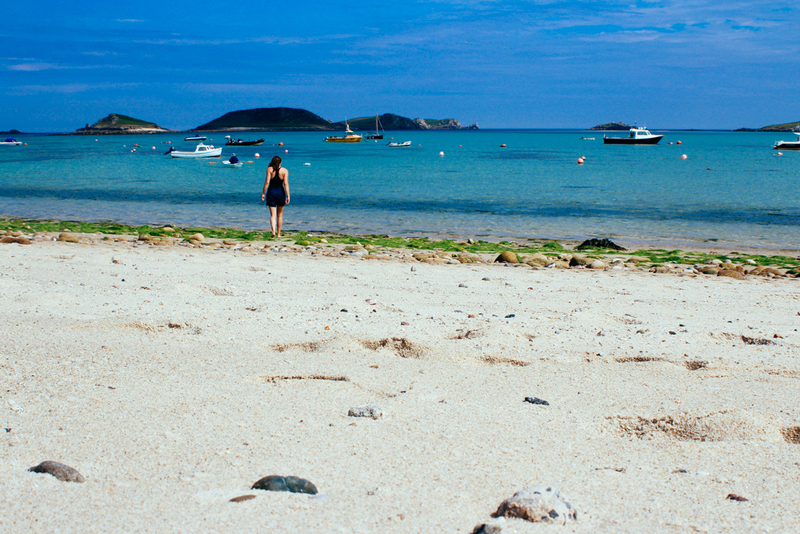 My favourite place on St Mary’s was a little beach Jake knew about, and which we set out to find on yet another sunsoaked afternoon. 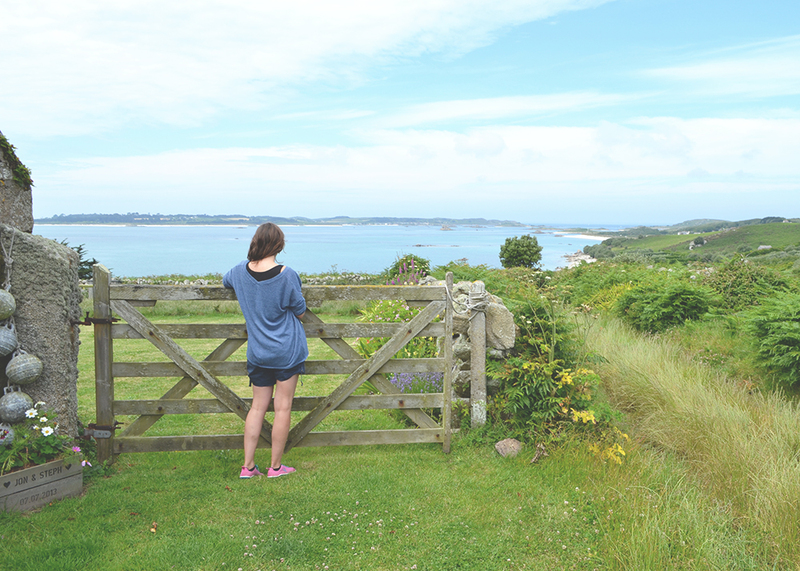 We had to abandon our bicycles and walk down a grassy, overgrown path to get to Watermill Cove, where water clear as glass laps on white sand. The beach was deserted, but a single white sailing boat sat anchored out at sea, like a children’s drawing. Besides the chilly temperature of the water, you’d never know you weren’t in the Caribbean – I think this might be my new happy place. 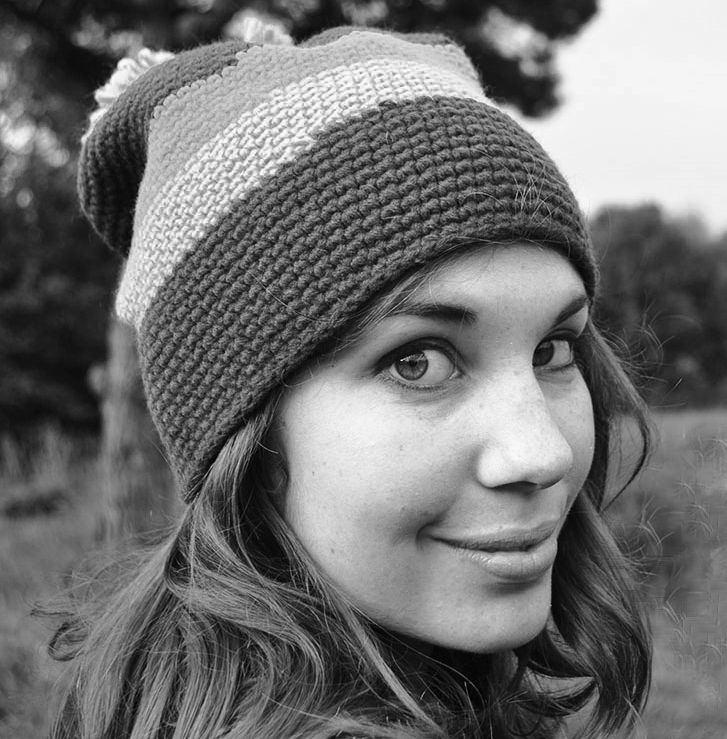 From St Mary’s harbour you can hop on a boat and visit the tiny ‘off islands’, as they are known locally, in vessels sailed by the St. Mary’s Boatman Association, who all wear really great jumpers. St Martin’s is utterly charming. Walk off the boat and a sandy path takes you up to a little hamlet of cottages looking out over the azure water of the bay. 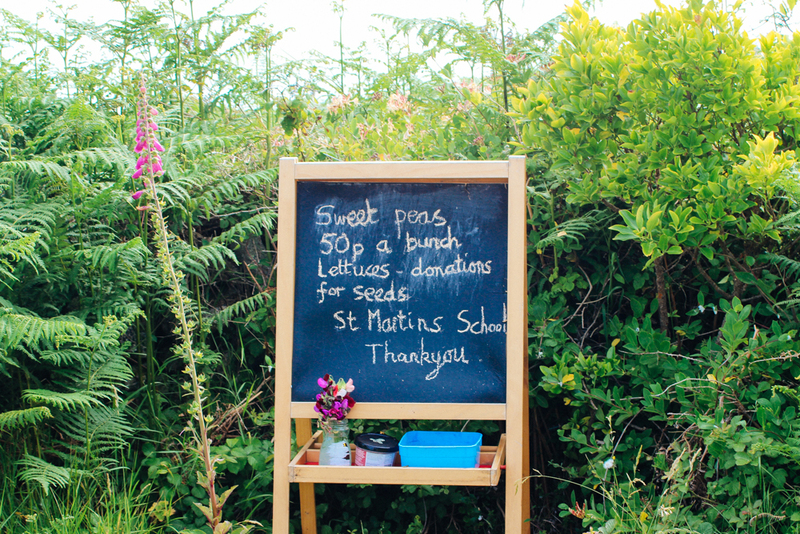 Their gardens are a riot of bright flowers, and often have little honesty boxes outside their gates selling posies of flowers for a pittance. 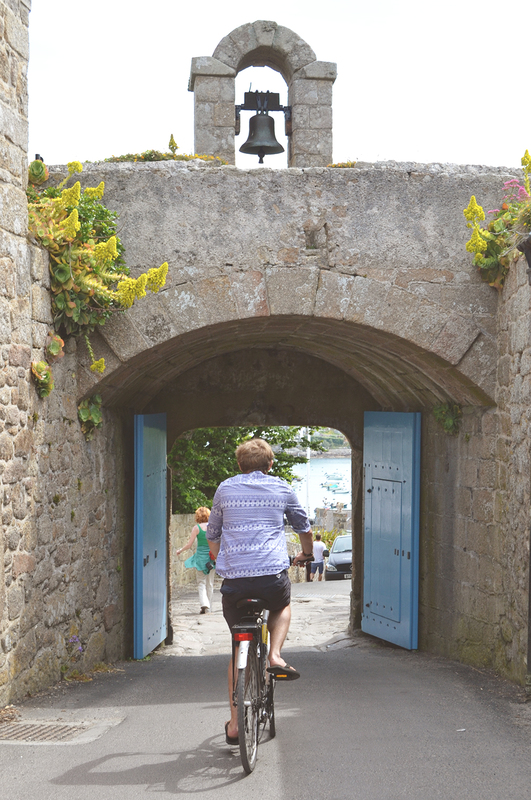 Hunt out Polreath cafe, which serves up proper nice cream teas in their little garden, and stop at the The Island Bakery for pies and pasties to take with you to picnic on as you explore the island’s little lost lanes and secret beaches. 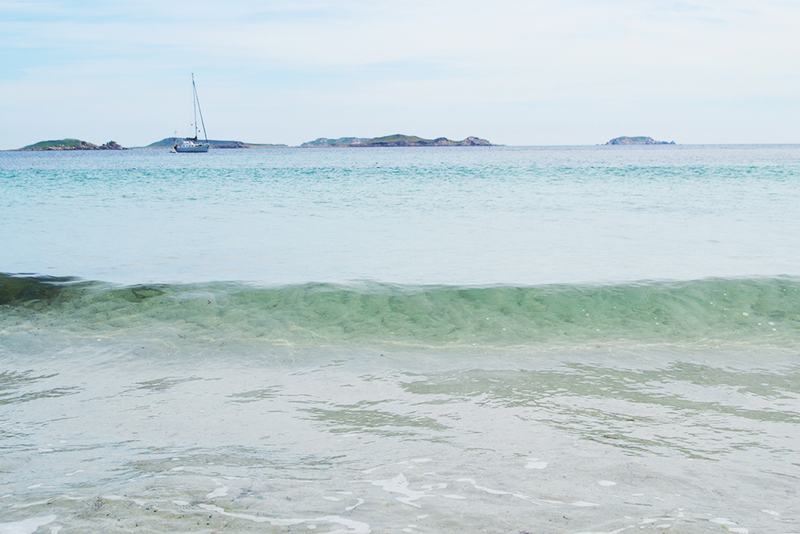 The best thing to do on St Martins is actually out to sea: Scilly Seal Snorkelling. Don a thick wetsuit and hop on a RIB dinghy and they’ll speed you out to the uninhabited Eastern Isles, where a friendly colony of seals flit about in the seaweed. Plunge into the cold water and they’ll come say hello, gently bumping you and possibly nibbling on your flippers. I didn’t know it was possible to audibly squeal with excitement under water, but you can. 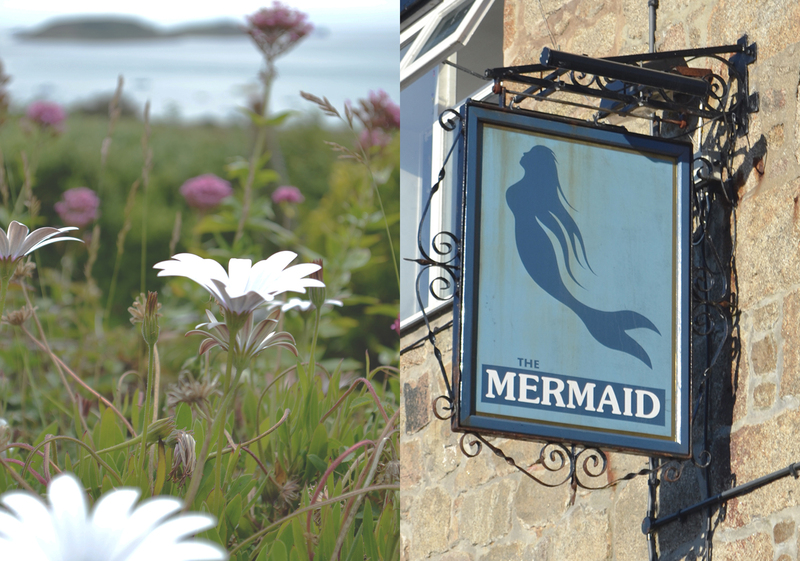 Tresco is the jungle of the Scillies, and its lovely Abbey Garden is a mecca for the green fingered. 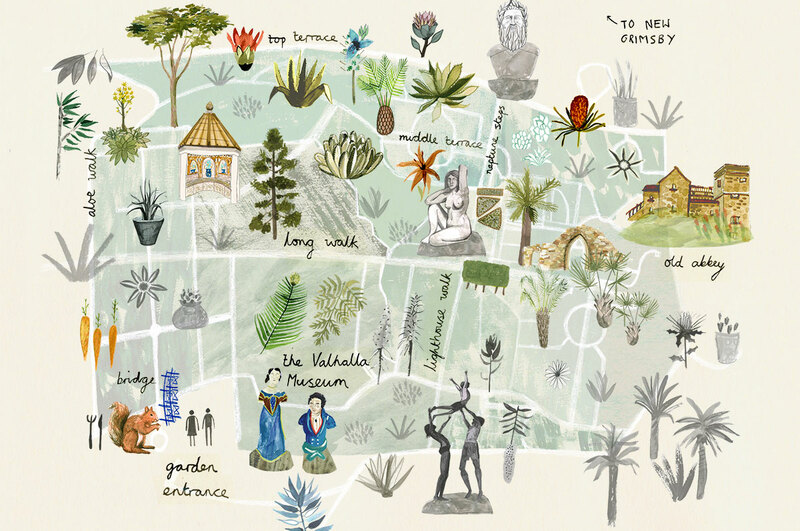 Described as a ‘perennial Kew without the glass’, this botanical haven is where the tropical plants which can live so happily on the islands are displayed in all their splendour. Spend a day wandering in the shade of palm trees and then eat at the driftwood-clad Ruin Beach Cafe on the shore. 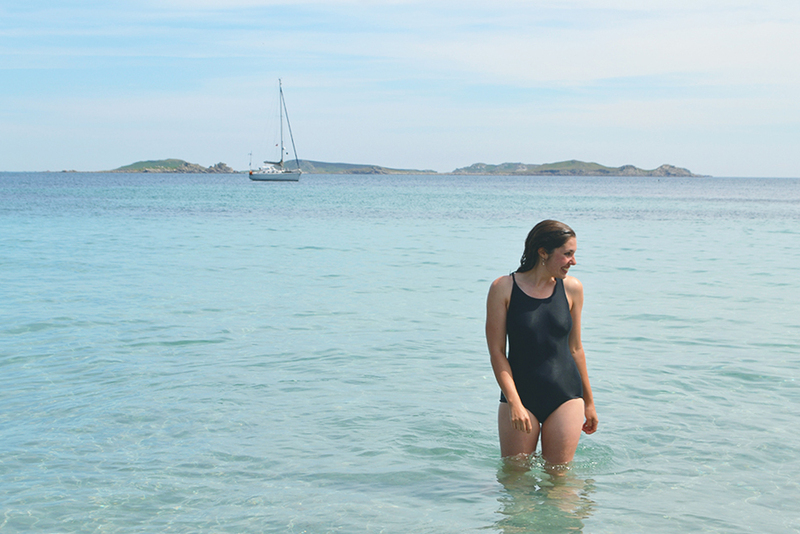 Teeny Bryher is the smallest of the inhabited islands, and you can walk around its lovely little coastline in a couple of hours. Stop for a lunch of local crab and mussels at plush Hell Bay Hotel, then wander over to watch waves breaking on the rocks at rugged Shipmans Head. 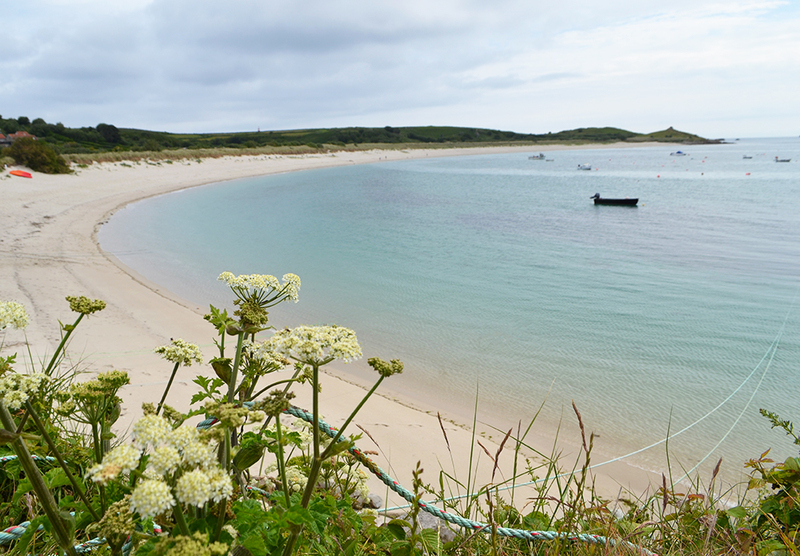 St Agnes is home to the prettiest campsite on the Scillies, and that’s saying something. 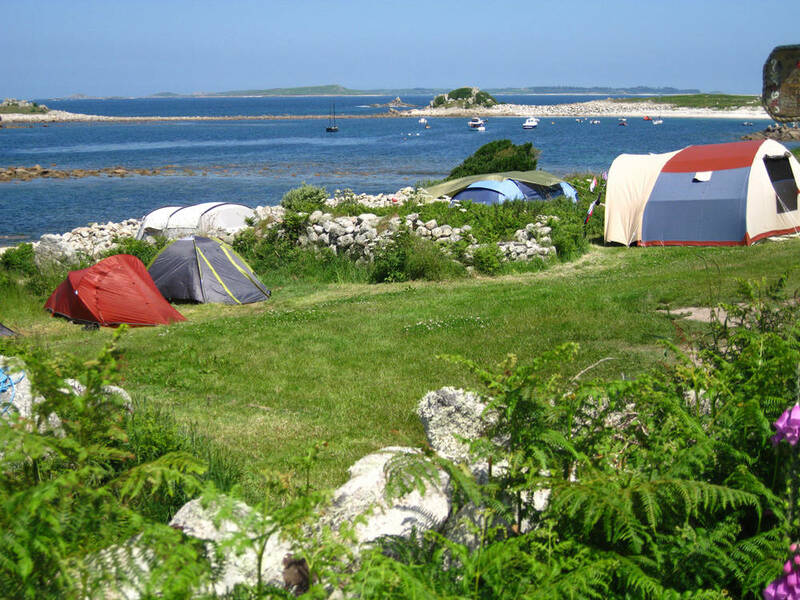 Pitch your tent at Troytown Farm for amazing views of the Atlantic from your tent, and stock up on local clotted cream and ice-cream from the farm’s dairy. 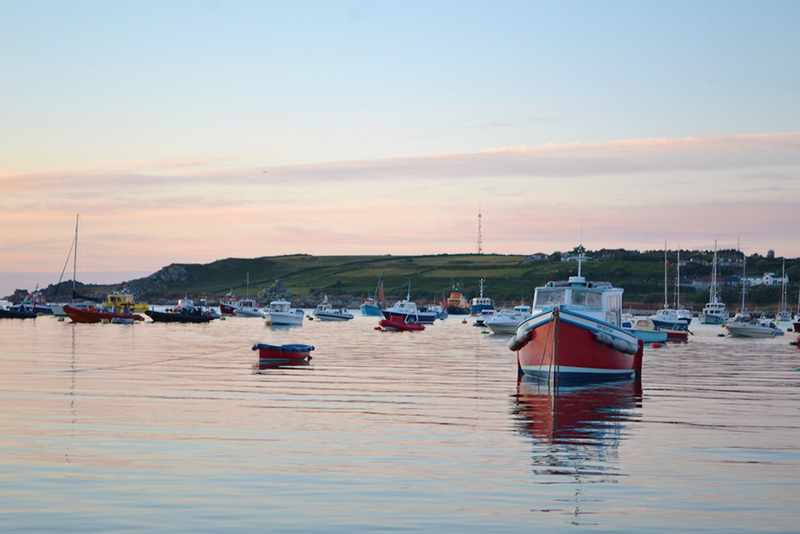 Friday night is gig night on St Agnes, when you can watch the islanders race their little gig against the team from St. Marys and other off island vessels, before everyone retires to the Turk’s Head pub for a well-deserved brandy. And because I’m a little bit obsessed with the pictures I took on the islands, here are a few more of my favourites of this wonderful, otherworldly place. Looks absolutely gorgeous, definitely on my to visit list in 2016! 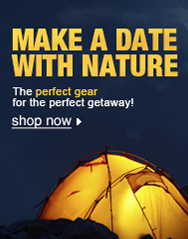 Looks like a great place to try out the camping gear while checking out all the beautiful sights! Lovely report. 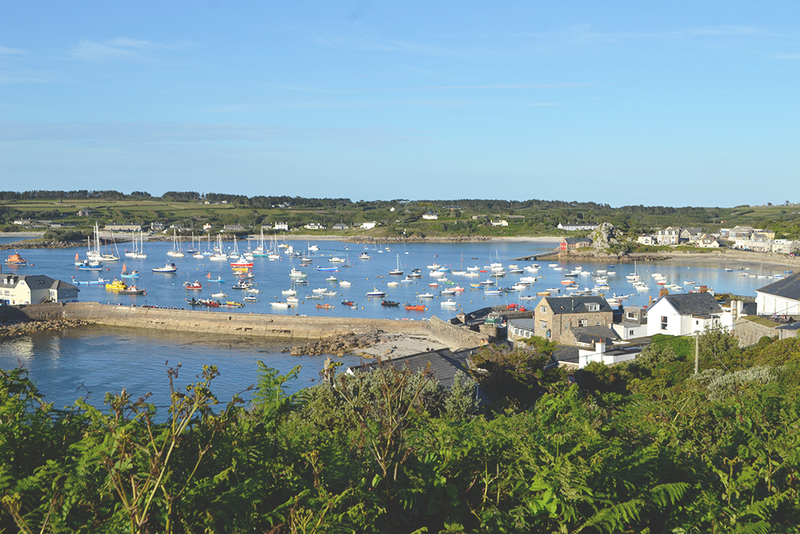 I visited the Isles of Scilly a few years ago and loved it so much I went back the next year. It has been a while though, I must go back again. Looks like you stayed at the same campsite I used.